Potato Storage. How to store potatoes long term? Potatoes en route to the storage facility. The processes required to store potatoes properly. Each of these processes are controlled by the AgroVent systems BV Multiserver. 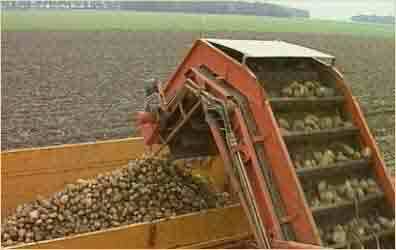 To remove outer moisture from the potato, whilst retaining inner moisture. Potato humidification, during the drying process! 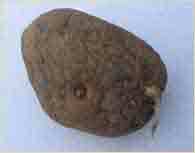 A dehydrated potato which has been improperly dried. Potato drying is a very delicate process, because the aim is not to dry the inside of the potato, but just the skin and the dirt stuck to it. Please note: It is better to store potatoes which are still slightly dirty from the field. This fine layer of earth will protect them. Potatoes are brushed when they leave the storage facility, not when they enter. It is better to dry them at approximately 25° Celsius, and at approximately 85% relative humidity. In extreme situations, the air needs to be humidified during the drying process, to avoid results like the potato in the photo to the right. 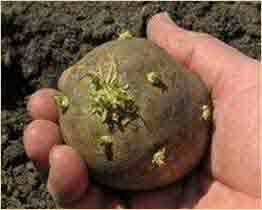 We call the potato "dry" when it no longer has visible moisture, and feels cool, rather than moist. Potato curing is a process in which the potatoes are kept for between 7 and 10 days at 15° Celsius, with around 95% relative humidity. In these conditions, the potatoes have the chance to self-cure any small wounds in their skin which may have occurred during harvest, transport and handling. This curing process is carried out to improve their storage capacity: The less open wounds they have, the lower the risk of infection during storage. In order to cure them effectively, a well-controlled humidification system is essential. If there is any chance of a Phytophthora (late blight), the curing process must be interrupted and the potatoes must be moved as quickly as possible to somewhere with their required storage temperature. Once they are dried and cured, the process of lowering the storage temperature of the potatoes begins. This must be done in such a way that the potatoes lose as little weight as possible. To achieve this, the temperature must be lowered gradually. It can be lowered by no more than 0.3 to 0.5° Celsius per day. Do not, under any circumstances, increase the temperature during this process. If a potato is cooled down, it "thinks" that winter has arrived, but if it suddenly warmed, its germination mechanism awakens, because the potato "thinks" that spring has come around again. The air used for refrigeration must have a sufficient cooling capacity, but the temperature of the cooling air must not be more than 2° Celsius colder than the potatoes. During this entire process, the air that is used must be moist enough (close to 85% relative humidity). This potato cooling process, during which a delicate balance of doors, condensers and humidifiers constantly monitor the temperatures and humidity, all fully automated by the Multiserver. Storage itself is, in fact, the easiest thing to do. It involves constantly keeping the potatoes: at the right temperature for their final use; at 90% relative humidity; at a regularly checked CO2 level; and in total darkness. All of this also requires using the turbines as little as possible. The final destination of the potato determines its storage temperature. The different cold storage temperatures for potatoes depending on the final destination of the potato. 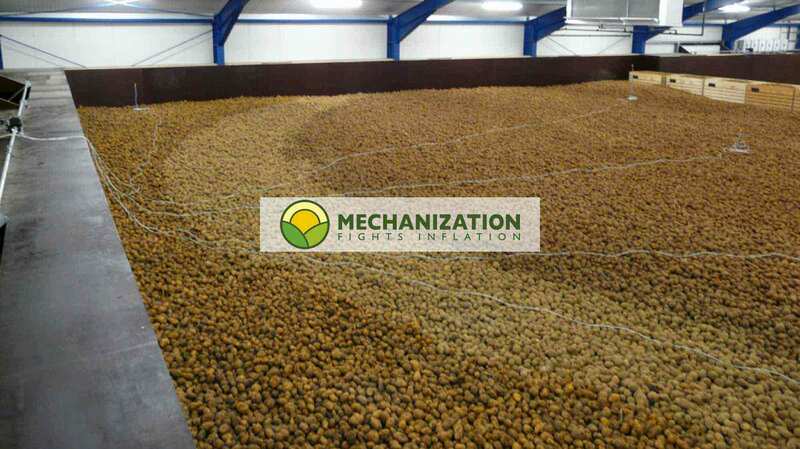 Stored between 7 and 10° C.
Stored between 5 and 6° C.
Stored between 4 and 7° C.
Stored between 4 and 5° C.
When potatoes are chilled to below 5 to 8° Celsius, their starches become sugars, known as reducing sugars. 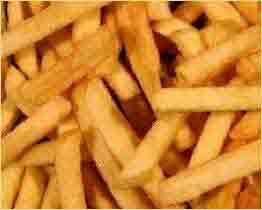 These reducing sugars are the main cause of the brown discolouration, bitter taste and limpness of chips and fries if the potatoes are reheated incorrectly after storage. This is known as the Maillard reaction. 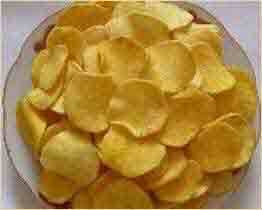 The Maillard reaction is worth knowing about, because it can help to avoid poor quality crisps and chips. The process of increasing the temperature of potatoes at the end of storage. To give the reducing sugars the opportunity to reconstitute the starches and avoid the Maillard reaction. This process of increasing the temperature of the potatoes at the end of the storage period is almost the opposite of the process of decreasing their temperature. Once again, this process is fully automated by the Multiserver. Potatoes stored below 5° Celsius do not sprout. Potatoes stored above 5° Celsius do sprout. The higher the storage temperature, the more chance of germination, which creates serious problems resulting in significant losses. 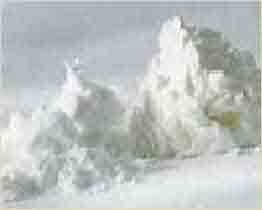 There are a number of commercial products in the form of gases and powders which can combat tuber sprouting. Most information on this topic is in English or Dutch. 1. Dry the potatoes, to remove their external moisture. 2. 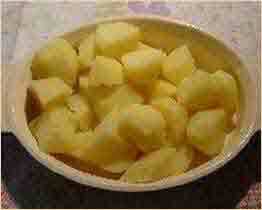 Cure the potatoes at a relatively high temperature, so that any wounds suffered during harvest and transport are cured. That said, if any potatoes are infected with Phytophthora, they must not be cured in order to prevent the blight from spreading. 3. Once they are cured, the temperature of the potatoes must be gently lowered to the final required storage temperature, which is between 4 and 10 degrees, depending on the final destination of the potatoes. 4. Keep the potatoes at a constant temperature, with around 90% relative humidity, in total darkness and with monitored CO2 levels, for months at a time. 5. In addition, before their removal from the cold store, the potatoes must be gradually returned to room temperature, to avoid condensation and the Maillard reaction.